In most cases, the symptoms of dust mite allergy are similar to those of hay fever — runny nose, coughing, sneezing, watery eyes, and irritation in the nose and throat. However, mild allergies can progress into serious ones over time, so if you suspect a dust mite allergy, it’s important to take control of the situation quickly. Dust can build up anywhere in the home, but it’s not always visible. Start by removing dust from surfaces, working from high to low and paying special attention to hidden areas like the tops of cupboards or behind appliances. Wash bedding, removable upholstery covers, curtains, rugs, and other fabrics in hot water, along with stuffed toys and pet beds. Be sure to wipe down the area around your pet’s bed with a hot cloth as their dander can stick to walls and surfaces. Next, vacuum sofas, chairs, and especially mattresses. We sweat and shed skin as we sleep, which makes mattresses a particularly favorable home for mites. For this reason, you should also replace any pillows older than six months. 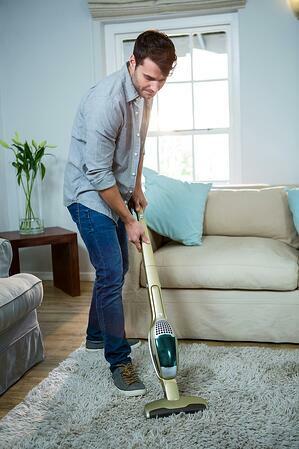 Finally, sweep and steam-clean hard flooring and thoroughly vacuum all carpets and rugs. If you can, invest in a vacuum with a certified HEPA filter, which is specially designed to be asthma- and allergen-friendly. Dust can build up in vents and ducts, which can spread allergens around your home. Consider having your air systems checked and professionally cleaned to get rid of any build-up. 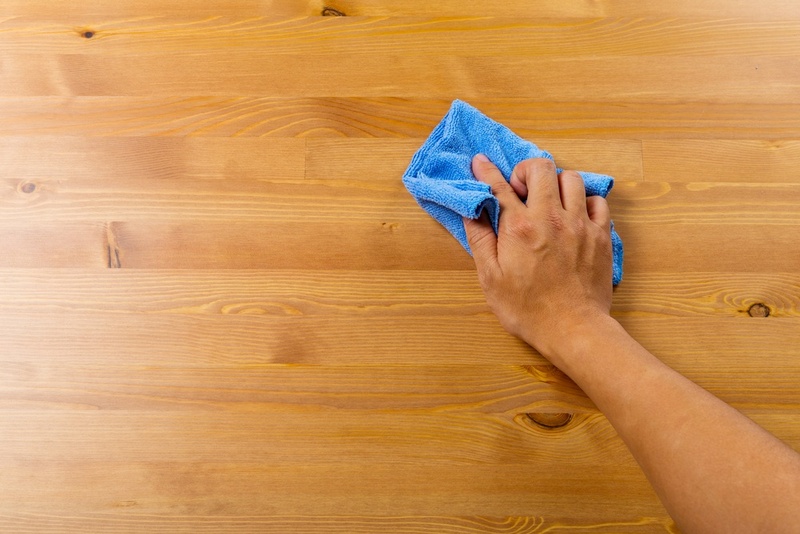 Frequent dusting and vacuuming is key to managing dust in your home. Keep surfaces free of clutter to prevent hidden build-up and be sure to wash soft fabric items on a regular basis. Dust mites need moisture to survive, so keep humidity below 55% by placing space dehumidifiers or installing a whole-house dehumidifier system. You can also use a certified allergen-friendly air purifier to keep dust mites and other allergens at bay. Dust-proof your bed with hypoallergenic pillows, pillow cases, and mattress covers. Where possible, replace soft furnishings with materials like leather or vinyl, and replace carpets with hard flooring. If you must have carpeting, choose low-pile. Keep pets out of the bedroom and off the furniture. Bathing and brushing them often helps to keep dander to a minimum, but this is best done outside to prevent it from gathering around your home. Finally, ensure that your home is well-ventilated with clean, cool, allergen-free air. In heavy-pollen areas like the Ohio Valley, keeping your windows open may aggravate allergies, so you may need to rely on fans, A/C units, or HVAC systems instead. Keep fans, air filters, and vent filters clean and free of dust build-up. Most modern HVAC systems have built-in air cleaning and filtration features but if yours doesn’t, consider having them added. Dust mite allergies can develop into serious health problems over time, but you can protect yourself and your family by optimizing your home air and ventilation systems. At Geiler, we’ve been helping homeowners to improve their air quality for 130 years. To find out more about how we can help you, visit out Indoor Air Quality page.